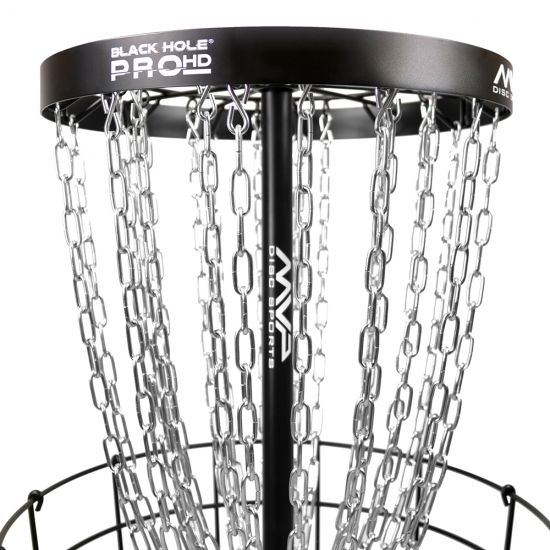 The Black Hole® Pro HD has been redesigned for an even better putting experience in the field or on the course. 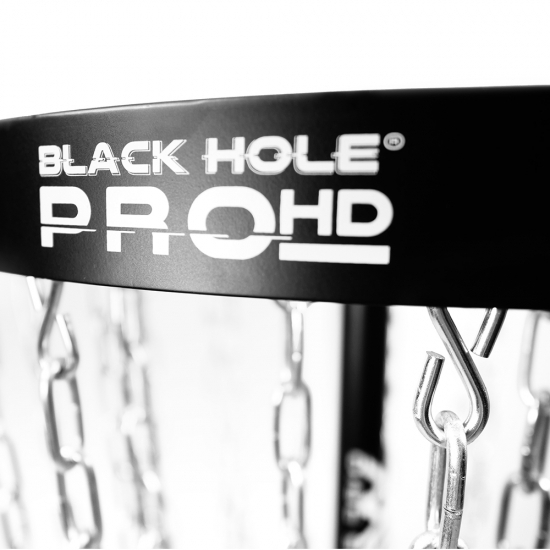 The new Black Hole® Pro HD design features a sturdier chain rack, deeper cage, and stronger base — constructed with thick 8mm wire compared to the Pro’s 6mm wire. 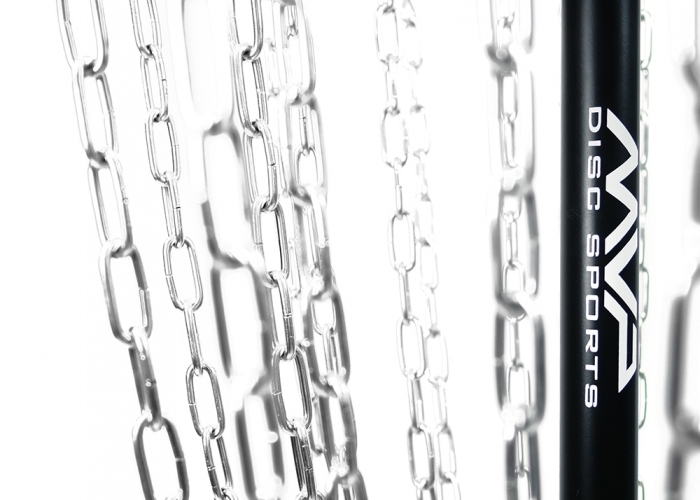 The ProHD also sports our seamless black matte powder coating and double chain tiered design with 24 high visibility zinc coated heavy duty course weighted chains, 12 outer, 12 inner chains with Black Hole® equidistant orientation for zero weak pockets. 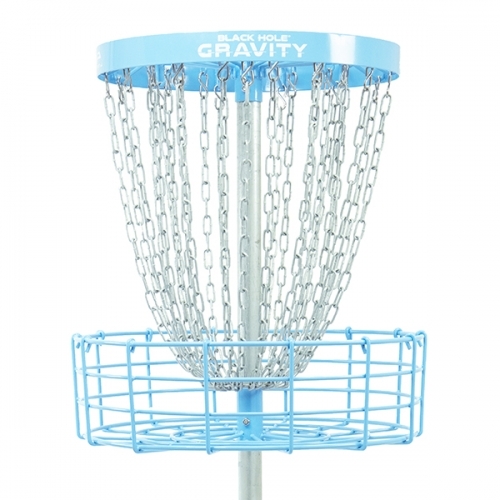 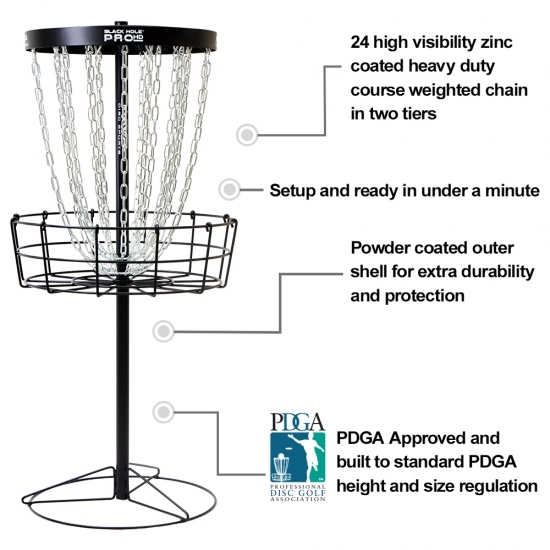 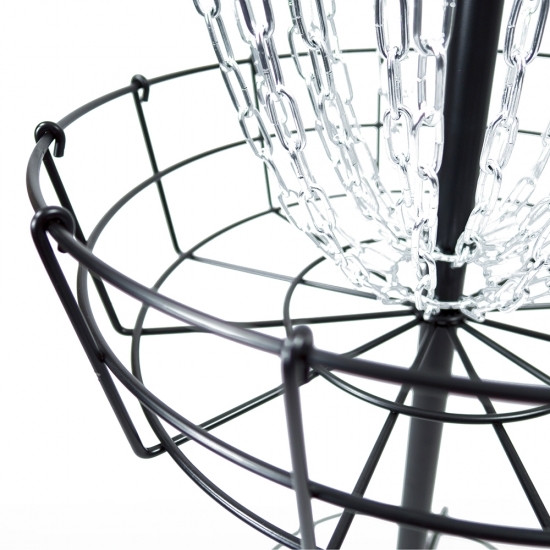 The Pro HD fits standard PDGA height and size regulations and assembles in under 1 minute. 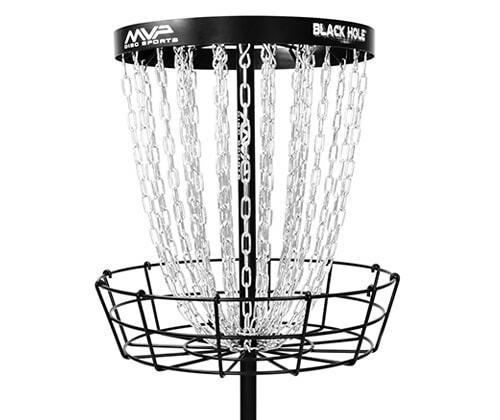 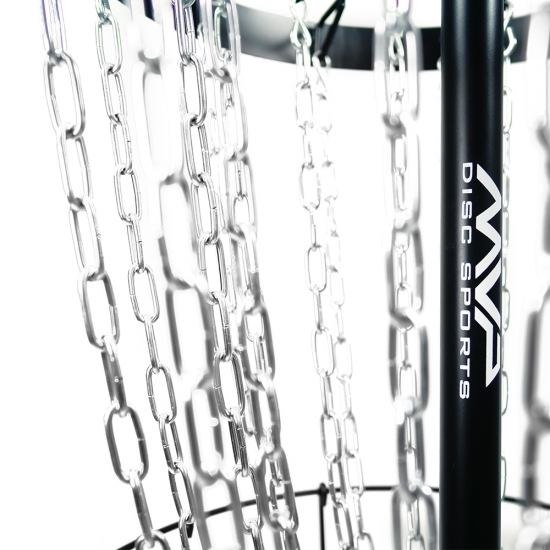 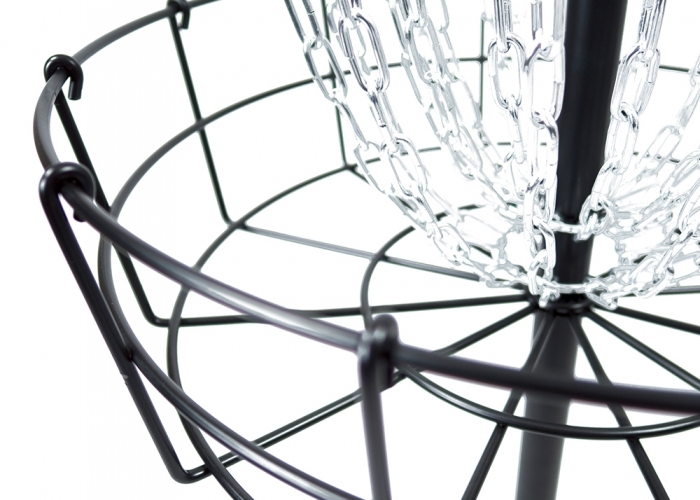 The Black Hole® Portal Course Basket is the flagship model in the MVP Black Hole® Basket Series. 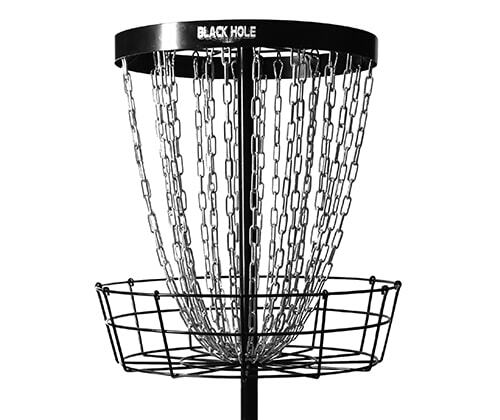 The Black Hole® Gravity basket is a premium permanent course basket, sharing many features with the flagship model Black Hole® Portal, that is more friendly to your budget. 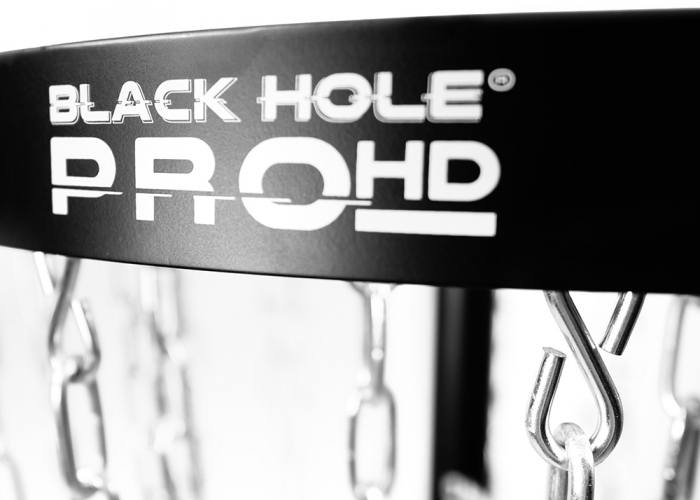 The Black Hole® Pro HD brings the heavy duty feeling of course quality baskets with the mobility of at home practice. 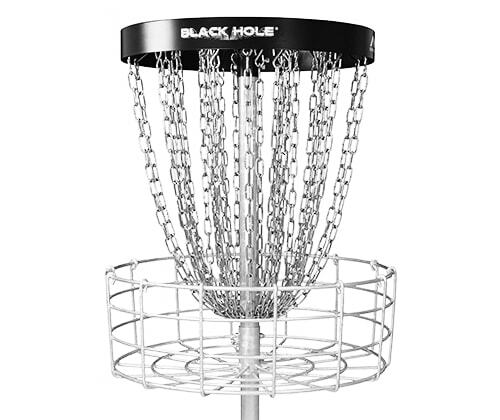 The Black Hole® Pro is designed to give you the most realistic putting experience off the course.